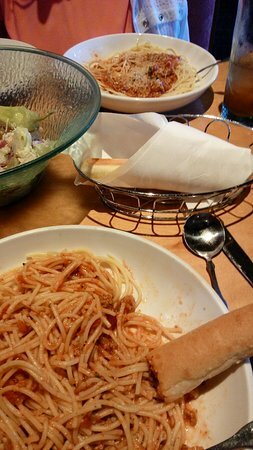 ... a special (Chicken & Shrip Carbonara).Steak Gorgonzola is always a go-to.We started with soup and salad.Unlimited breadsticks, unlimited salad. 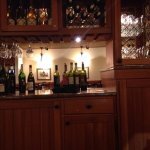 Great food, wonderful services, we were asked several times if everything was good, maybe to many times. We were seated by the door plus vents blowing down on us, a little chilly. 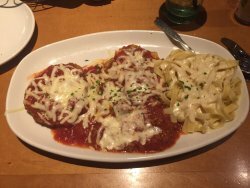 Met a business contact at Olive garden for supper, food and service was awesome as usual!!! Plenty of food to take home for lunch the next day. We started with soup and salad. Then we had buy one take one. 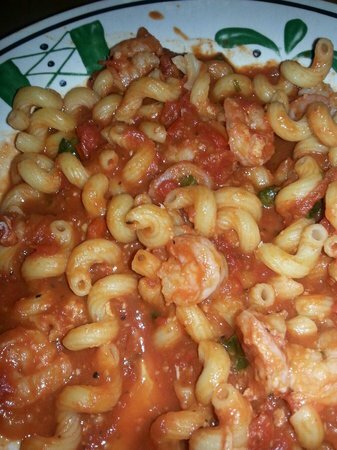 Great spaghetti in our bellys and our frig. We'll be back again. We went as a family of four for a late afternoon lunch and had wonderful customer service. We even had plenty of food to take home. Olive Garden is definitely our favorite place to eat.